Southern In Law: SIL August Giveaways! Hi lovelies! You all know I love to give back so today, I have two giveaways for Southern In-Law Readers! One giveaway is only open to Sydney and Melbourne readers but the other is open to all Australian Residents - so make sure you read all of the instructions so your entry is valid! But let's get onto the giveaway! Note: Are you joining in on our #SILgivethanks project? Make sure you share what you're thankful for each day with the hashtag - and take a look at everyone else's posts too! Dari's Table make delicious hummus - all of which are gluten free, dairy free, animal-fat free, egg free, vegan and kosher! We recently served the Olive and Pine Nut Hummus at our Wedding Shower and everyone loved them! 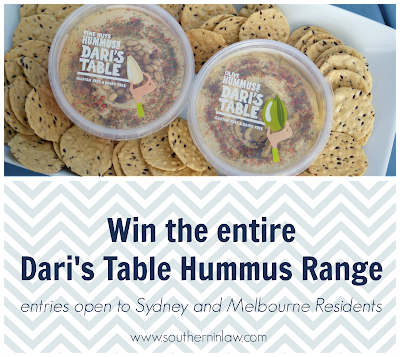 I have one pack of the entire Dari's Table Hummus Range up for grabs, however, you must be a Melbourne or Sydney Resident. 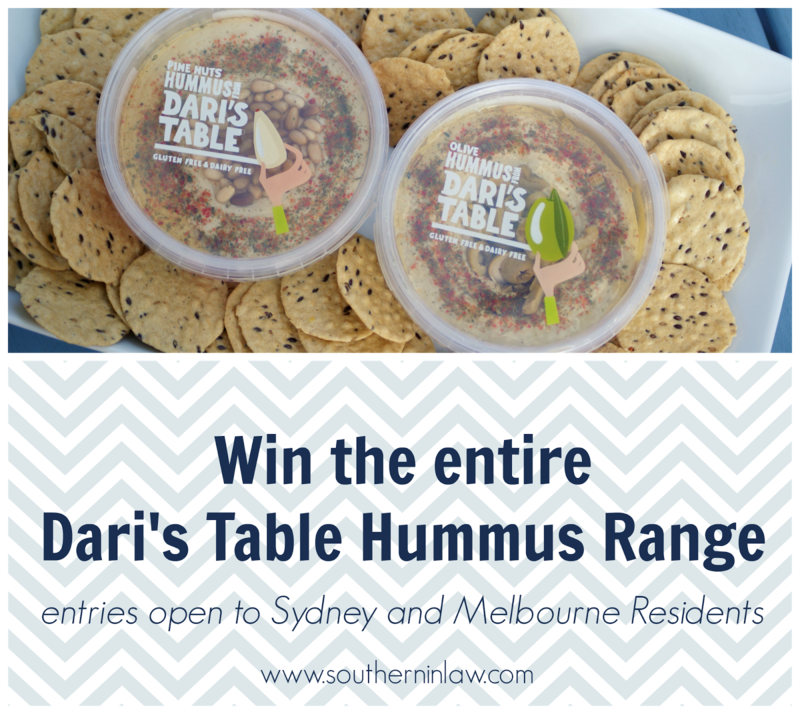 "I'm entering www.southerninlaw.com 's Dari's Table Competition: My favourite way to enjoy hummus is _________________________ I'm a _______ resident"
It's important that you let us know whether you're from Sydney or Melbourne - and please make sure you fill in your answer - I can't enter you into the competition without an answer. 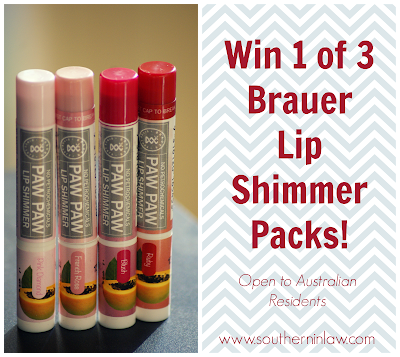 Recently I featured Brauer's Paw Paw Lip Shimmers in my Monthly Favourites Post and I received lots of emails with questions about them - now, I'm giving 3 packs of 4 lip shimmers away! This giveaway is open to ALL Australian Residents, so make sure you follow the instructions to win! 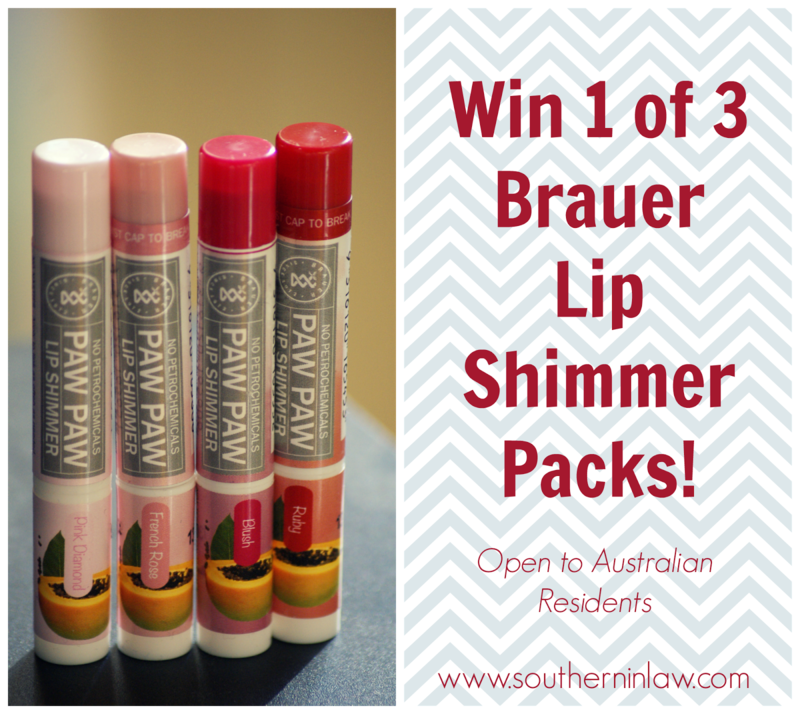 "I'm entering www.southerninlaw.com 's Brauer Competition: My beauty secret is _____________________________"
Answer the competition question, filling in all of the blanks. Enter by Wednesday September 25th at 11:59PM EST.